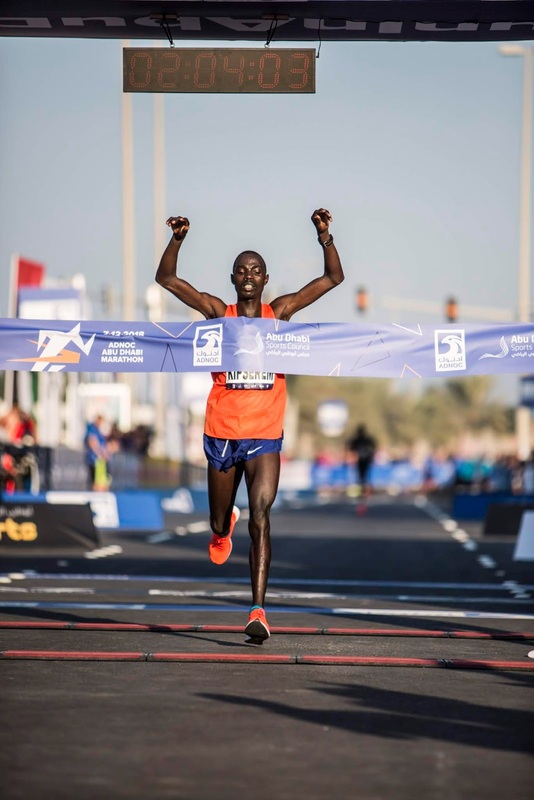 Abu Dhabi, 7 December – Kenya’s Marius Kipserem and Ethiopia’s Ababel Yeshaneh stormed the finish line to secure victories in the first-ever ADNOC Abu Dhabi Marathon this morning. 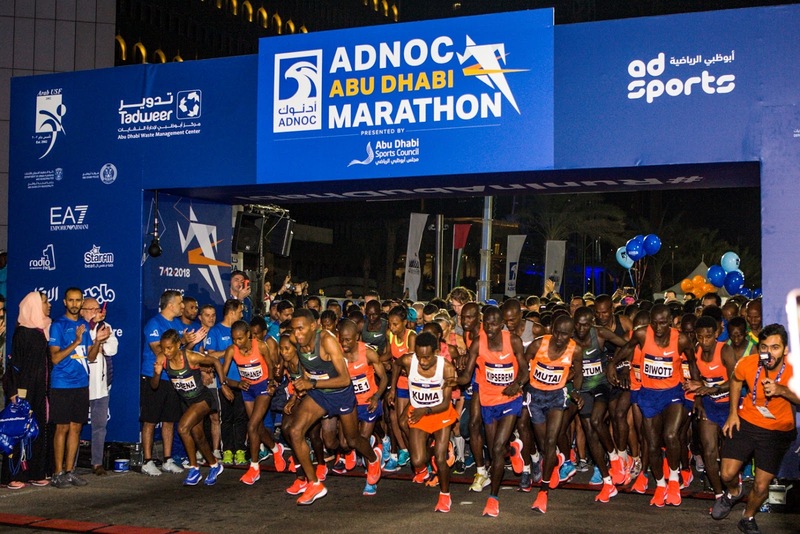 The event was attended by over 10,000 professional and novice runners who took part in the inaugural ADNOC Abu Dhabi Marathon across four race categories - 42k, 10k, 5k and 2.5k - and were able to take in the capital’s iconic landmarks including Emirates Heritage Village and Qasr Al Hosn. 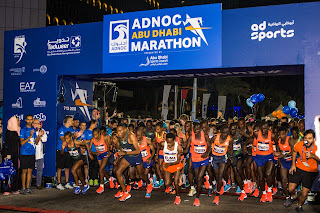 In a special awards ceremony held outside the headquarters of the marathon’s title sponsor, the Abu Dhabi National Oil Company (ADNOC), the event’s trophies were presented to first, second and third place male and female finishers in the 42k, 10k and wheelchair races. All participants who took part also received a congratulatory medal. 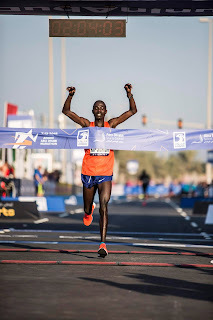 Beating his personal best, 2016 Rotterdam Marathon winner Marius Kipserem from Kenya crossed the finish line in a time of 2:04:04, securing his place in history as the first male winner of the ADNOC Abu Dhabi Marathon and recording the 12th best marathon time in the world. He was followed 12 seconds later by fellow Kenyan and half-marathon record holder Abraham Kiptum who also beat his personal best with a time of 2:04:16. The marathon’s third place award went to Ethiopia’s Dejena Gonfa who secured a time of 2:07:06. 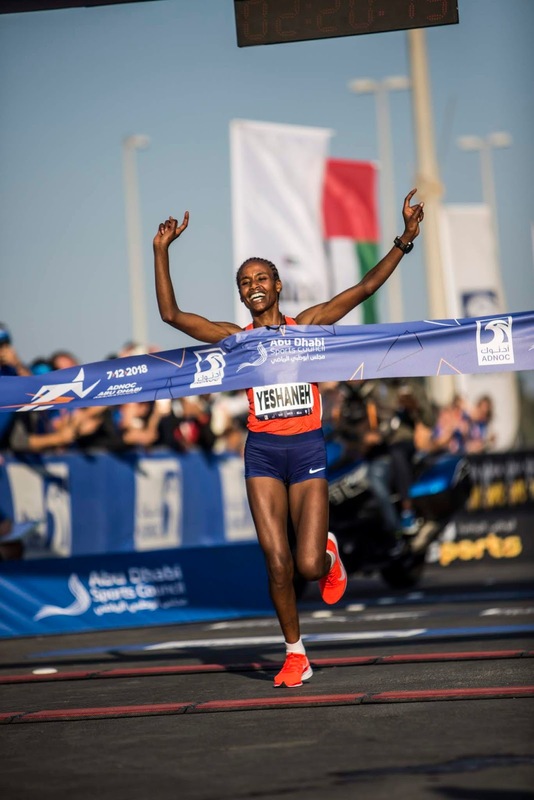 In-form long-distance runner Ababel Yeshaneh from Ethiopia secured the first elite female victory at the ADNOC Abu Dhabi Marathon, storming the line with a time of 2:20:16. 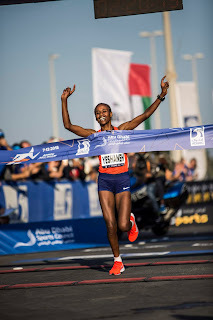 Bahrain’s Eunice Chumba crossed in second place with a time of 2:20:54, the best performance by an Asian female athlete in 2018. Chumba was followed over the finish line by Ethiopian runner Gelete Burka with a time of 2:24:07. Richard Kimunyan and Abeba Semanew successfully completed the male and female 10k race respectively with a time of 28:21 and 32:40, followed by second and third place male and female finishers, Maxwell Rotich, Emily Kipchumba, Samir Jouaher and Anne-Mari Hyrylainen. The elite wheelchair category was won by Husain Al Mazam followed by Rashed Al Dhaheri, both from the UAE, and the 10k by Abdollah Fard, Abdulla Al Ghaferi and Theban Al Mheiri. Yeshaneh and Chumba joined Kipserem and Kiptum in securing the best performances of their careers to date.